Terpenes found in cannabis give different strains of marijuana their smell as well as effectiveness. 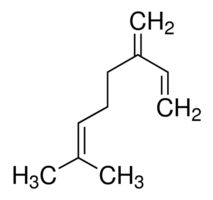 A “terpene”, according to the textbook chemistry definition, is “a group of volatile unsaturated hydrocarbons found in the essential oils of plants”. In other words, they are the group of molecules in carbon-based plant materials that give plants their smell and protect them from bacteria, fungi and insects. When it comes to all things cannabinoid, terpenes are also on the cutting edge of cannabis research. Terpenes are mostly found in the sticky resin of unfertilized female flowers and their production is increased with light exposure – although their efficacy can be damaged if the dried plant is overheated. 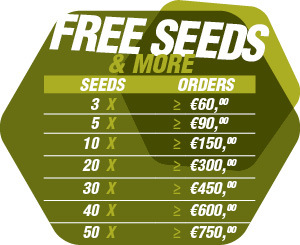 Cannabis plants also produce terpenes in the same glands where THC and CBD are produced and give different strains their unique flavour and smell. Cannabinoids, as opposed to terpinoids, however, have no smell. Every cannabis strain is identified by its specific chemical makeup – in other words the specific combinations of cannabinoids and terpenoids. The impact of this differentiation in the medical cannabis market alone is still unknown – precisely because it has never been officially studied. That said, the worldwide sales of more conventional terpene-based pharmaceuticals is a multi-billion dollar industry. All terpinoids are synthesized from two five-carbon building blocks and are frequently manipulated in the production of chemically bio-engineered pharmaceuticals. As such, the impact on the medical market alone could be profound. The practice of aromatherapy is well-known in alternative medical circles. What is fascinating about terpenes in cannabis is that they may not only create the additional relaxation of a comforting smell when inhaled or as a calming gel when absorbed through the skin. Cannabinoid terpenes in fact may well impact the punch, if not effectiveness of cannabinoids within the human endocannabinoid system, no matter how they are ingested or absorbed. Most interestingly, from a medical perspective, terpenes interact directly with receptors and neurotransmitters within the human endocannabinoid system and can combine or dissolve in fats. In fact, some terpenes appear to actually affect how the brain interacts with cannabinoids themselves. They seem to act, much like anti-depressants, as serotonin uptake inhibitors and increase dopamine activity (elevating mood). In other words, terpenes can “fine-tune” the impact of cannabinoids much like motor oil increases the performance of a car’s engine. This means that the terpenes found in the cannabis plant may well have use far beyond smoked or vaped cannabinoids. However, because of the lack of research on terpenes in general, and cannabinoid terpenes in particular, this kind of therapy is not comprehensive, understanding of medicinal impact is in its infancy. In 2015, the Australian Government’s Department of Health published the results of a review of aromatherapy as an alternative health treatment. Sadly, this, along with 16 others, were found (much like cannabis itself) to have “no definitive medical efficacy” and as a result, not considered for coverage under health insurance. That may well change in the future, particularly when attached to cannabinoid therapies. Essential oils, whether applied topically or ingested are known to have many beneficial effects. However, there are many that are also known to act as irritants, particularly if overexposed or excessively ingested (in the case of marijuana, in concentrates in particular). Eucalyptus, for example, can be highly toxic. How such terpenes act in the cannabinoid plant itself, however, is as yet, unknown. There are more than 100 terpenes found in marijuana. The following is a list of the most common along with what they do, although by no means is this list inclusive. Other terpenes found in the marijuana plant include phellandrene, phytol, humulene, bergamotene, farnesene, elemene, fenchol and bisabolene. Borneol is also found in rosemary and has a fresh, minty flavour. With a long history in Chinese medicine, this terpene acts as a local anaesthetic and has anti-spasmodic properties. This terpene is very spicy and is found not only in cannabis, but black pepper and cloves. It has strong anti-inflammatory and analgesic properties. Unsurprisingly, this terpene smells like eucalyptus and is also found in the eucalyptus plant. It is believed this terpene has pain-relieving properties and can improve focus and concentration. This terpene has a citrusy smell and is best known for anti-fungal and anti-bacterial properties. It also works as an anti-carcinogenic and may help prevent the growth of tumours. With a floral, lavender aroma, this terpene creates a sedative effect and is frequently used to treat anxiety. It also has anti-epileptic and anti-convulsant properties. Linanool is also currently being researched in the treatment of cancer. 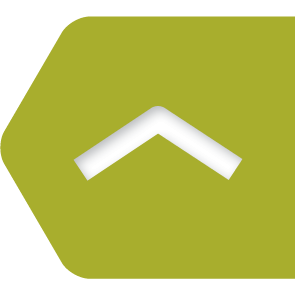 Myrcene is one of the most commonly occurring terpenes and is also found in hops. It is frequently described as having an aroma similar to cloves. It has a sedative, calming effect, is known to act as an anti-inflammatory and can increase the psychoactive effects of THC. 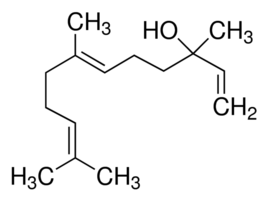 Nerolidol is found not only in cannabis but also in ginger, citronella and niaouli. This terpene smells like fresh bark. It is used to treat not only fungal infections but also malaria and has a calming and sedative effect. This terpene smells like pine, and is also found in rosemary and sage. It has both antiseptic and anti-inflammatory properties and may also positively affect memory, boost energy and improve concentration. This terpene smells like mint or rosemary. It is frequently used to treat Alzheimer’s and can be damaging to the liver in high qualities. 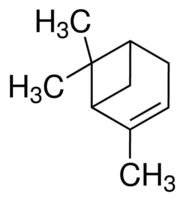 Terpineol smells like lime blossoms as lilac. 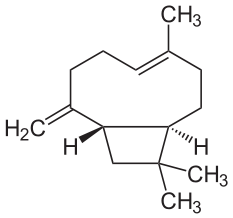 It is frequently used in the production of cosmetics and perfumes. 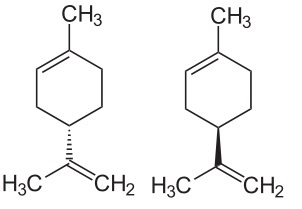 Cannabis plants containing high levels of terpineol also have high concentrations of pinene, which makes it difficult to determine its presence by smell alone.